How much the net has changed our lives? A lot and in a very short time Twenty, twenty-four years of revolution and a past of centuries gone. Completely. Apparently. In the past, distances were real, (still are), communications apart telephone, via letter, postcard, it took some time, not a lot but surely different days. Our trips via plane, train, car, but focused in the trip, we were plenty of joy, we left all our problems behind or also good news behind. We were living an adventure with new occasional friends met in a train, with new experience and a world to be explored. Traveling a moment of learning without distractions. Old phones were nice, we found them in some corners for a quick call or we used (I still use it) the old-fashioned phones at home. At the moment we are constantly connected. There was in the past time for many more activities and the brain was less stressed because less stimulated and people more calm and relaxed. There wasn't the idea of: everything and immediately. There was a real notion of time and joy to spending time together. 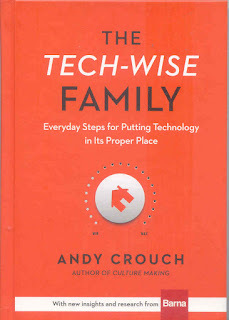 I was interested to read and I did it very rapidly the book written by Andy Crouch, The Tech-Wise Family Everyday steps for putting technology in its proper place by Baker Books, because for what I can see and read this one starts to be a problem. Not maybe for us because we also experienced what it meant to live before the technologic revolution: a good conversation with our parents or friends, communication, less stress, old-fashioned games to do outdoor (I experienced it living in a countryside), reading, writing, picnics, all activities that took time and were a real pleasure. What is it happening to our children? Parents think that being parents now is much more difficult than not in the past because there is less control in the life of their children and the perception that the life of their children is not just in their hands but in the hands of many other...devices and they can be sometimes dangerous. The family of Mr.Crouch is wonderful. They light candles when they have dinner, they love to eat a lot of veggies because it's healthy, they sometimes decide to switch off all their devices for staying in peace and for trying to recuperate some conversation and quality-time together. These devices create our own perfect world where it's more than simple to get lost per hours, on social medias and other beloved applications. Of course some of these applications are very good. Skype for example connect us with people very distant. Internet simplified connections but created a different solitude. In ten chapters, all flexible for the various exigencies of families Mr Crouch will explain how to stop the device-life for some time for helping teenagers and families. Families in fact are not born for staying "isolated." Or better: for creating members all isolated in their own world not anymore connected as it was before the advent of the internet but for living and experiencing all together this life's experience. 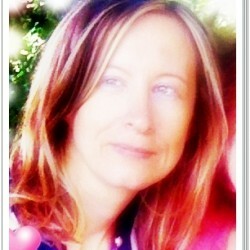 Of course, with all the various difference of characters, life-style, but all together. Each of us in a family bring a different color to life and we can't see it if communication is killed because the teenager is absorbed to playing a game in a smart phone. For doing so, it's important to create the perfect humus, the perfect condition, dialogue. It's impossible to cut out modernity says Crouch, but it's indispensable to balance it. In opposite case the risk is to seeing evaporated years that won't never return without to have enjoyed any kind of quality-time with children because our children "sold" without to know it to the various smart phones, PCs, notebooks; Americans think that family is very important in their lives and that's why I think that they start to interrogate themselves about the role of technology in their life after a moment of first, great enthusiasm. In the past there was the TV and it was a great magnet for children. Smart phones and PCS are much more dangerous in terms of "killing-dialogue, isolation and solitude." Colored, structured for all their exigencies, flexible, attractive. Children and teenagers have what they can desire and what everyone can desire. So, from the suggestion of Mr. Crouch of not giving to the TV a lot of importance putting it in a hidden corner of the living room, to the one of sharing passwords with the spouse and children, you will find great advice for a less stressing life and a best quality-time, devices....free! I suggest to everyone to read this great little Christian book because it is very informative, and complete. I thank Baker Books for the physical book review copy. It's a beautiful book and a wonderful cover.